This should simplify photo backup and quick editing without the need for a laptop when travelling. Just two cables and a lightning to USB3 adapter will allow you to transfer JPEG and RAW to an iPad or iPhone. 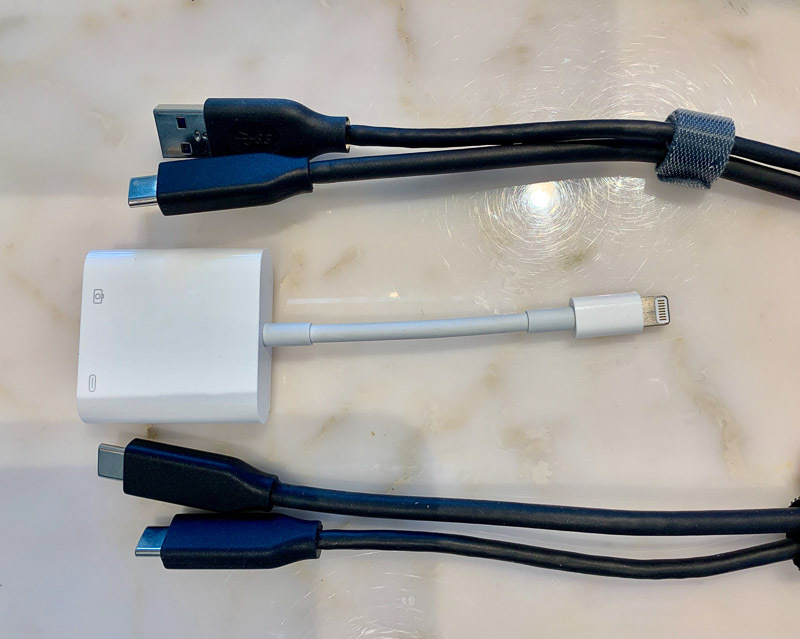 The 3rd generation iPad Pro uses USB-C connector so a dual ended USB-C cable like this one or this one is all you need. 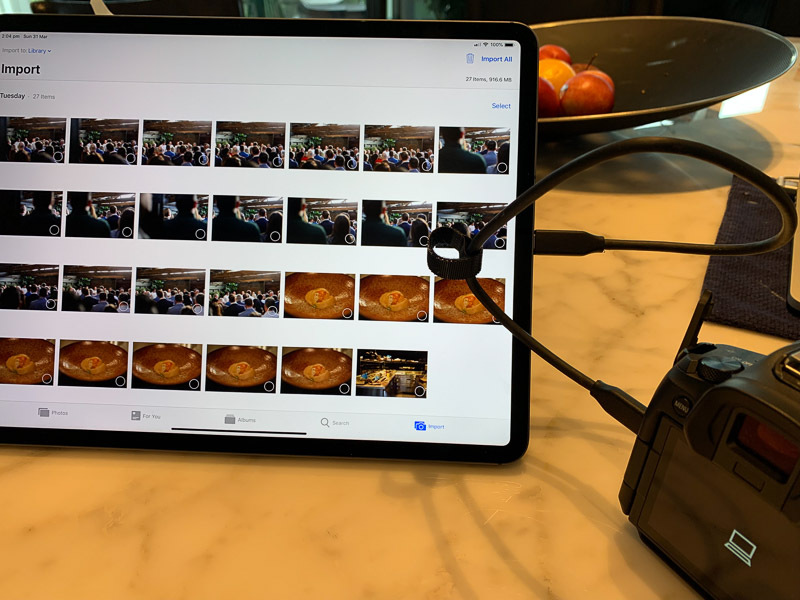 For iPhones and iPads other than the 3rd Gen, The Apple Lightning to USB 3 Camera Adapter is needed and a Super Speed 3.1 USB-A to USB-C cable to get the fastest transfer speed from cameras. If you use a USB-A to USB-C charging cable, transfers will only occur at USB 2.0 speeds which is woefully slow. I’ve also found that a USB-C female to Lightning adapters that you can find on Ebay doesn’t work for data transfers, requiring the Apple Camera Adapter and a USB-A cable. These cables and adapter will work for both the Nikon Z6/Z7 and the Canon EOS-R/RP Mirrorless cameras as they both have USB-C connectors. Posted on Sunday, March 31st, 2019 at 6:03 pm. Filed under: Photo equipment, Tech, Tutorial	RSS 2.0 feed.